A new Regional Edition Cuban cigar is heading to Lebanon and it will come in 50-count cabinets. The Quai d’Orsay Baalbeck is named after the Eastern Lebanese city and represents the first time that a Quai d’Orsay has ever been presented in a 50-count format. Measuring 5 1/2 inches by 54 ring gauge, the hefty size is referred to as a Duke in Cuban cigar factories. Dukes have been pretty popular lately. The Regional Edition Saint Luis Rey Herfing made for the Middle East was recently released in a Duke size, as was the Regional Edition Punch Duke for Mexico. The Bolivar Soberano Edicíon Limitada 2018, which debuted in November, is a Duke as well. The most common Duke size is the Partgás Serie E No. 2, a regular-production Cuban cigar that’s been in circulation since 2011. Cigar distributor Phoenicia Trading A.A. tells Cigar Aficionado that the Quai d’Orsay Baalbeck is expected to arrive in April, but has yet to establish a retail price for the smoke. Although it’s being released this year, the Baalbeck is part of 2018’s Regional Edition series. 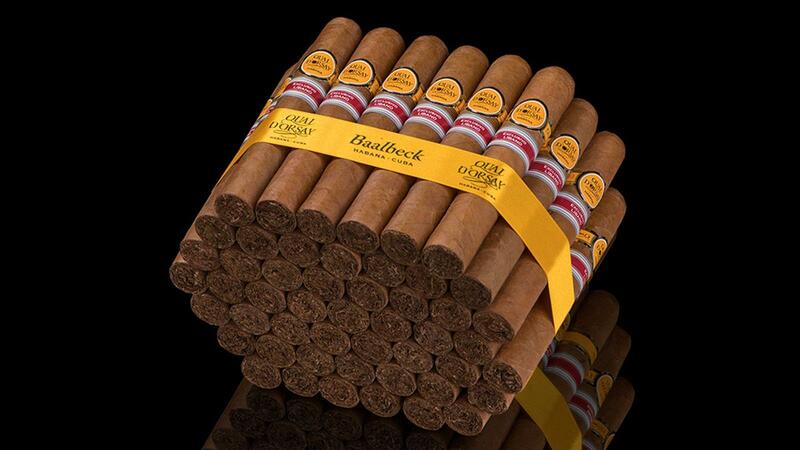 Phoenicia Trading A.A. is the official distributor of Cuban cigars for more than 40 countries, including Lebanon, Cyprus, the United Arab Emirates, Saudi Arabia and nations in the Middle East.